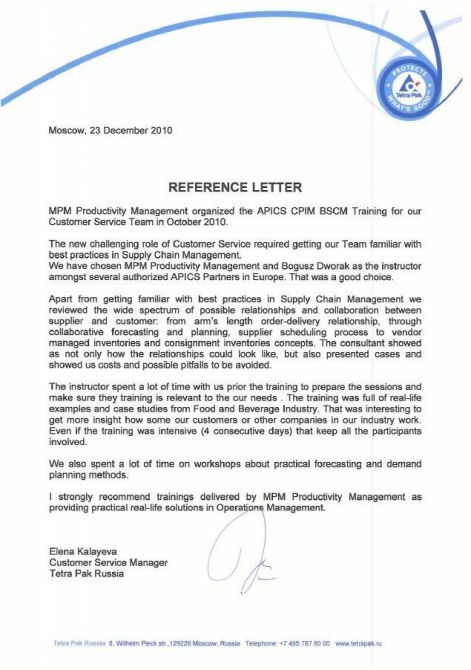 MPM Productivity Management organized the APICS CPIM BSCM Training for our Customer Service Team in October 2010. The new challenging role of Customer Service required getting our Team familiar with best practices in Supply Chain Management. 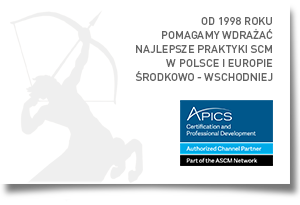 We have chosen MPM Productivity Management and Bogusz Dworak as the instructor amongst several authorized APICS Partners in Europe. That was a goog choice. Apart from getting familiar with best practices in Supply Chain Management we reviewed the wide spectrum of possible relationships and collaboration between supplier and customer: from arm's lenght order-delivery relationship, through collaborative forecasting and planning, supplier scheduling process to vendor managed inventories and consignment inventories concepts. The consultant showed as not only how the relationships could look like, but also ceses and showed us costs and possible pitfalls to be avoided. The instructor spent a lot of time with us prior the training to prepare the sessions and make sure they training is relevant to our needs. The training was full of real-life examples and case studies form Food and Beverage Industry. That was interesting to get more insight how some our customers or other companies in our industry work. Even if training was intensive (4 consecutive days) that keep all the participants involved. We also spent a lot of time on workshops about practical forecasting and demand planning methods. I strongly recommend trainings delivered by MPM Productivity Management as providing practical real-life solutions in Operations Management. 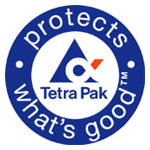 Elena Kalayeva, Customer Service Manager, Tetra Pak Russia.